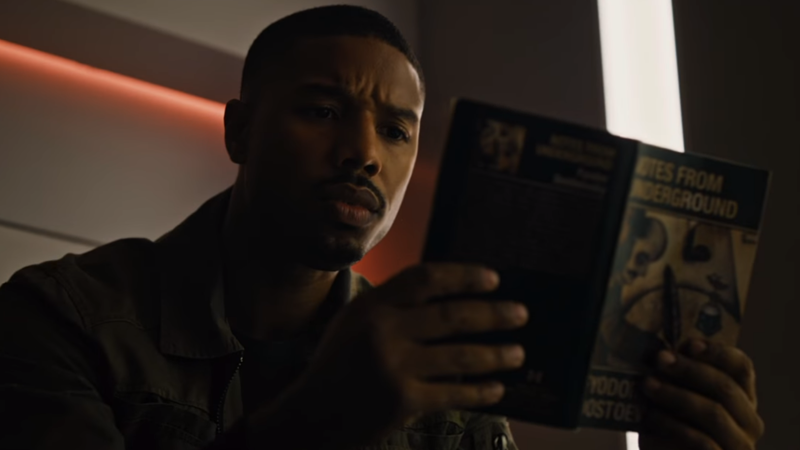 Michael B. Jordan just can’t put a good book down in Fahrenheit 451. Reading is, as it’s been often been said, fundamental. But in the world of Fahrenheit 451, it’s forbidden—and Michael B. Jordan wants to know why in the latest trailer for HBO’s long-awaited adaptation. The new preview gives us a better picture of the actual plot of the story, rather than just setting up the dystopian world of Ray Bradbury’s beloved novel like the first did. Instead of setting up a future where all books are illegal and burned by zealous fireman, we get to see protagonist Guy Montag increasingly question that world—until he finds himself on the run and enthralled by the very things he’s spent his career trying to burn off the face of the Earth. It’s still got a lot of glimpses at that futurist world though, as well as some trippy visuals, as Montag loses himself in the ideas contained within his forbidden reading material. Oh, and naturally, lots of pyrotechnics while Michael Shannon waxes lyrical about being equal in the flames. All of which are pretty good things in our books (which are thankfully not singed). Fahrenheit 451 is set to air on HBO May 19. 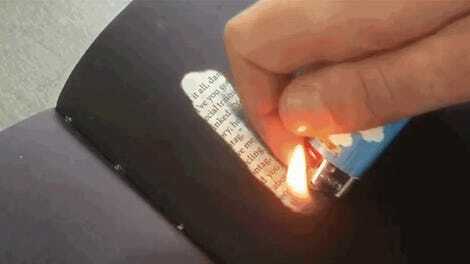 Fahrenheit 451 Is "The Most Relevant Piece Of Literature Ever Written"